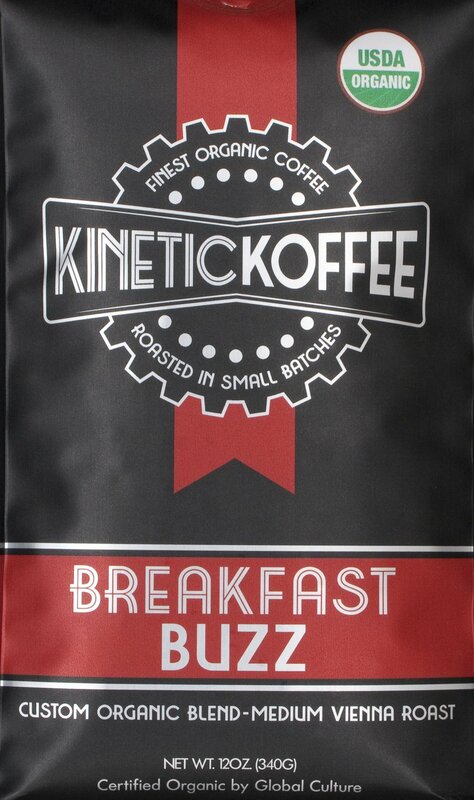 Kinetic Koffee is a local small batch artisanal coffee roaster operating for the past 15 years. 100% organic, they purchase shade grown coffee and practice fair trade purchasing. This commitment to ethical business practices leads them to purchasing from growers that are principally owned by women, and families from areas where coffee is helping to grow economic stability for locals. In addition, Kinetic Koffee supports non-profits with a focus on the outdoors, Veterans and the Navy SEAL Foundation. Their Kustom Label and Fundraising program has been helping local students, clubs and nonprofits since 2005. Today we are hanging out with owner, Charlie Jordan. When did you get started? We got established in 2005 as a small startup. Where can we find your delicious coffee? Our products are sold in Eureka Natural Foods, Murphy’s Markets, Northcoast Co-ops, Safeways, Wild River Market, and served in many fine restaurants, cafes and coffee shops such as Coffee Break, Java Stop, and Because Coffee throughout Humboldt County. We also sell on line and through Amazon. Our outdoor market spans the US where you will find us in many bike and outdoor shops. One of our primary reasons for starting Kinetic Koffee was to bring outside dollars into Humboldt; to provide local jobs; and to give back to this wonderful community and beautiful area where we live. Another key influence was the Great Arcata to Ferndale World Championship Cross-Country Kinetic Sculpture Race , a Humboldt County Memorial Day weekend tradition for over 40 years. Amazing human powered pieces of art are pedaled over roads, sand, mud and even water for three days, traversing the 42 miles between Arcata and Ferndale. Delivering delicious coffee with a focus on energizing those who love to get moving, Kinetic Koffee is a business that truly does Humboldt proud!